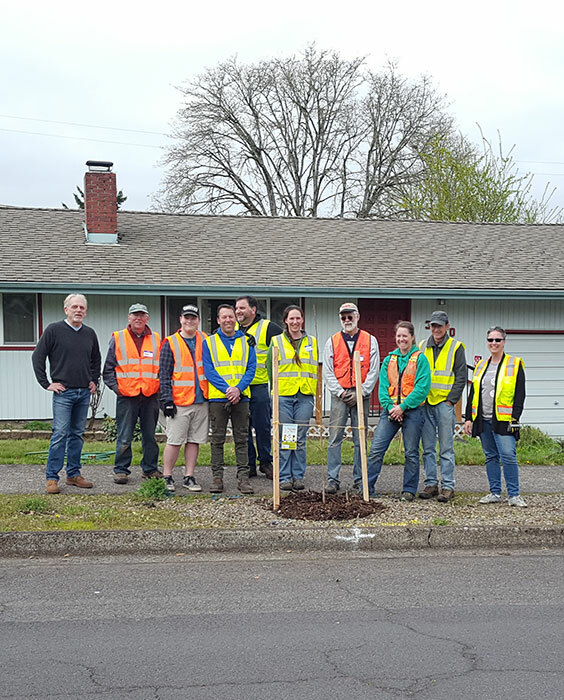 The City of Eugene removed older trees throughout the city. 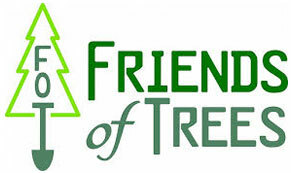 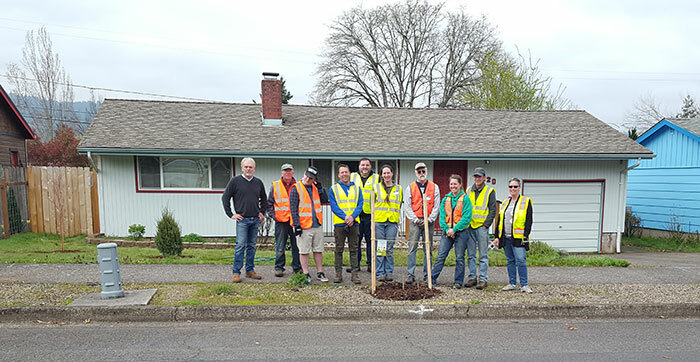 The Eugene Chapter of Friends of Trees replanted the area with approved trees. 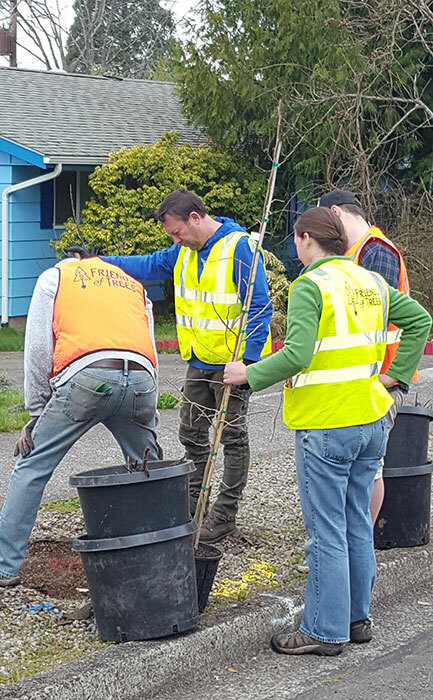 We planted four trees on Saturday to the enjoyment of all the neighbors. 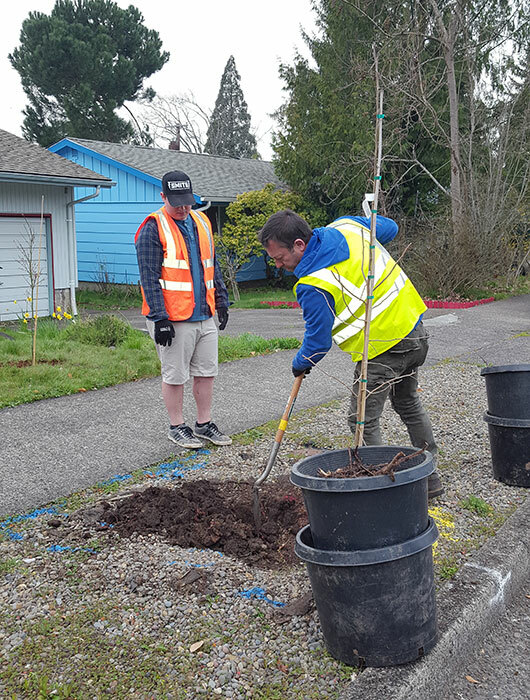 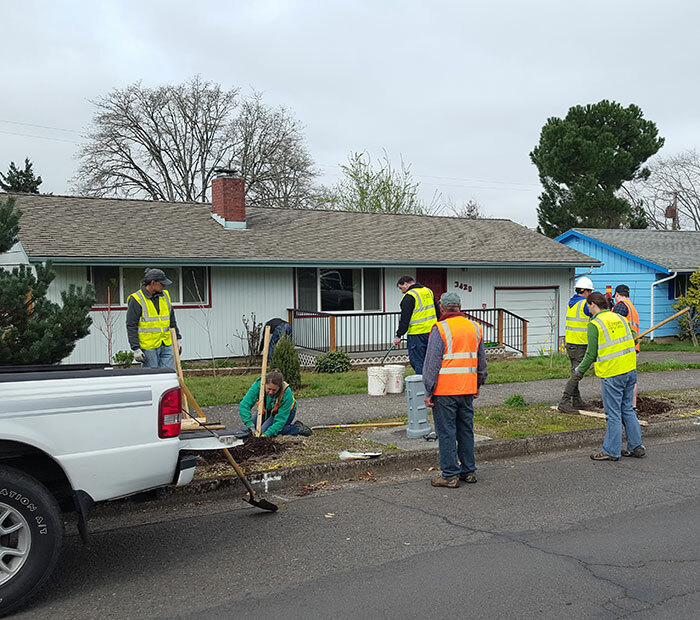 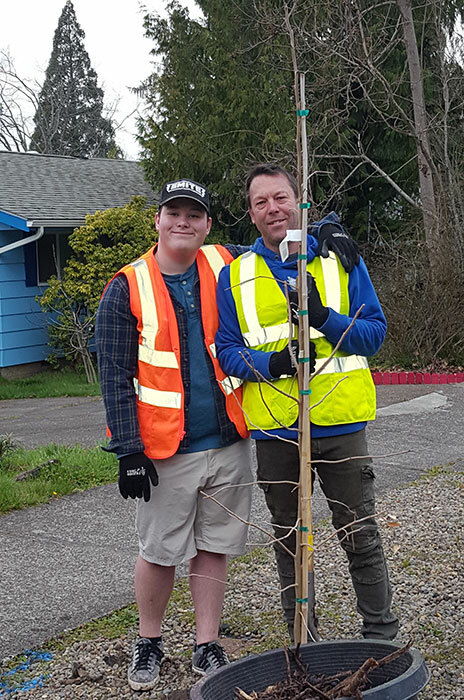 Thanks to Friends of Trees, our Eugene streets are regaining their quaint shade trees.